Hereâs your chance to own a completely renovated home in the heart of the bedroom community of Fairview Park! 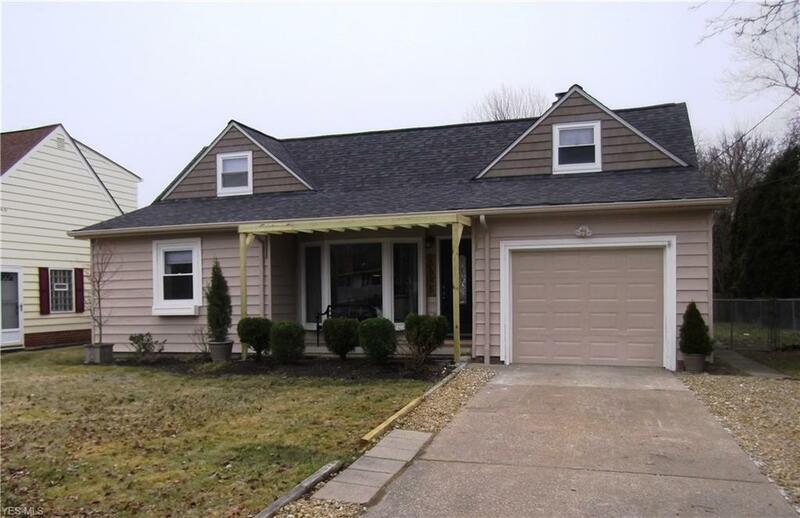 This charming Cap Cod style house has been updated for todayâs homebuyer! The gleaming white kitchen showcases new shaker-style cabinetry, brilliant quartz counters, subway tile backsplash, new stainless appliances, Pergo flooring, a feature wall w/ floating shelves & an open floor plan that seamlessly extends to the Great Room complete w/ unique barn-door, new fireplace w/ stacked stone surround & lustrous oak hardwood floors ( throughout main level) professionally done in a walnut stain! Two downstairs bedrooms both have new light fixtures, doors and a fresh coat of paint! The completely remodeled 1st floor full bath boasts New double vanity sinks, tile backsplash, new ceramic wood-like flooring, new light fixtures, tub & toilet! Upstairs a master suite w/ sitting area awaits you! This space was completely renovated to make room for a 2nd level en-suite half bath! New commercial-grade carpet, exposed brick wall & custom railing adding to the appeal of this quiet, secluded space! A new sliding door was installed in the kitchen to allow convenient accessibility to the newer backyard concrete patio! This fenced-in parklike space supplies a darling storage shed for all your needs! A new front pergola allows for a cozy spot to sit and bask in the evening sun while enjoying your freshly landscaped yard & recently painted exterior -1 yr APHW home warranty is included!